Home / animation / big hero 6 / disney / news / “Big Hero 6” to have its own animated series! “Big Hero 6” to have its own animated series! Baymax and the gang are back! Only this time they will appear on television for an animated series based on the 2014 film. Walt Disney's TV-animation unit is already in the works for a 2017 debut on Disney XD with "Kim Possible" creators working as executive producers, as reported by Variety. "Our colleagues at Walt Disney Animation Studios have created a brilliant new world, inspired by Marvel, with vivid, unique characters. We are thrilled to have the opportunity to further develop these characters into a world class animated series full of fun, action and the kind of endearing storytelling that only Mark, Bob and Baymax can deliver," said Gary Marsh, the President and Chief Creative Officer of Disney Channels Worldwide, in a prepared statement. The TV series will follow up right after the events from the feature film and will focus on the adventures of 14-year-old tech-wiz, Hiro, and the inflatable robot his late brother had made, Baymax. 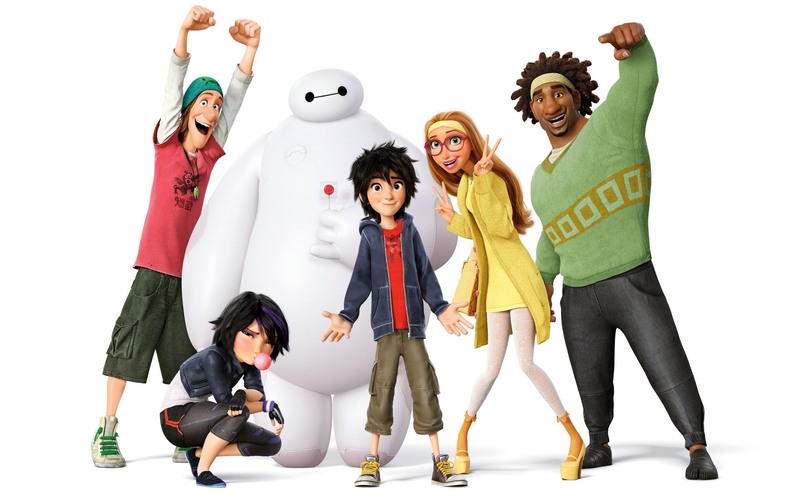 Wasabi, Honey Lemon, Fred and Go Go join the two to form the heroic 'Big Hero 6' team. Hiro and Baymax will be having weekly adventures once the animated series begin in 2017. Hiro will face the struggles of being a student at San Fransokyo Institute of Technology, having to undergo academic challenges and the social trials of being the little man on campus. But when he is off campus, he does what he knows best, protecting the city from scientifically enhanced villains. There has not been any information to whether the voice cast will be reprising their roles for the animated TV series. The 2014 film "Big Hero 6" directed by Don Hall and Chris Williams became the highest grossing animated film of that year with over USD657 million collected worldwide. The film that was adapted from the Marvel comic of the same name also won Best Animated Picture by the Academy of Motion Picture Arts and Sciences.